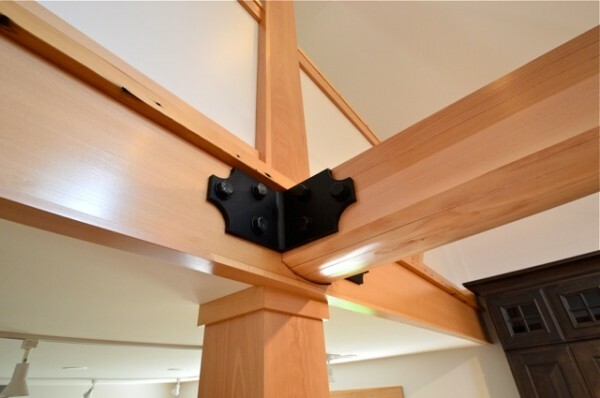 Architectural Detail of Support Post and Beam with Bracket. Finished with VNC. It can happen to the best of us. After all, it’s your home and it’s meant to be lived in. That’s what makes finish so important. It protects all the things we might otherwise stain, scratch and mark. So a few years back when some friends asked Jason to design and build them a kitchen that was not only durable (he’s a chef, she’s a horticulturist, both are farmers), but also environmentally friendly, it took some hefty research. We needed to find something that was both safe and tough. No easy feet. Then we came across Vermont Natural Coatings. Using whey protein as the bonding agent, a byproduct of cheese making, Vermont Natural Coatings creates wood finishes that are just as durable as their water-based polyurethane counterparts, but with much lower VOC levels. Vermont Natural Coating smells quite nice I might add. We love this product. Since the completion of our friend’s kitchen we’ve used these finishes on countless projects, including all of the woodwork and flooring in our new showroom. 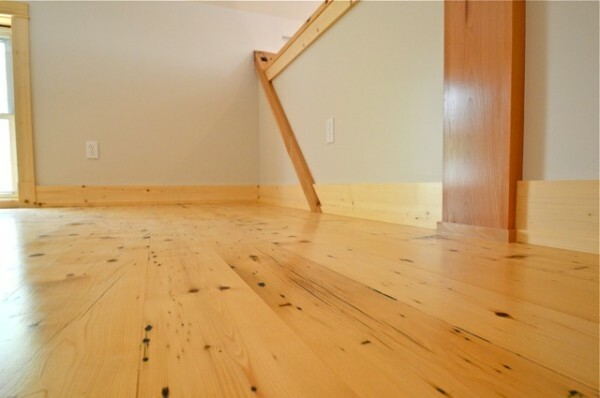 Showroom Loft, Reclaimed Hemlock Flooring. Finished with VNC. 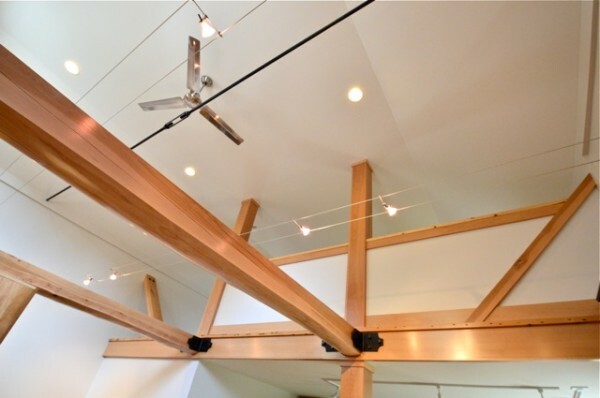 Kitchen Showroom, Second Floor Loft with Exposed Beams. Finished with Vermont Natural Coatings. It has also helped us to rationalize a rather hefty addiction to our favorite Vermont cheeses. 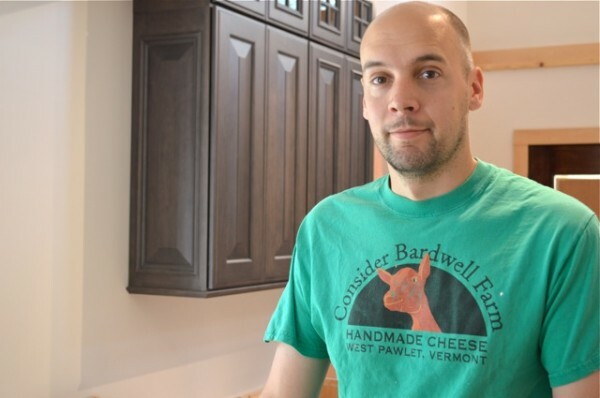 Jason Showing his Vermont Cheese Maker Support in his Consider Bardwell Farm t-shirt.